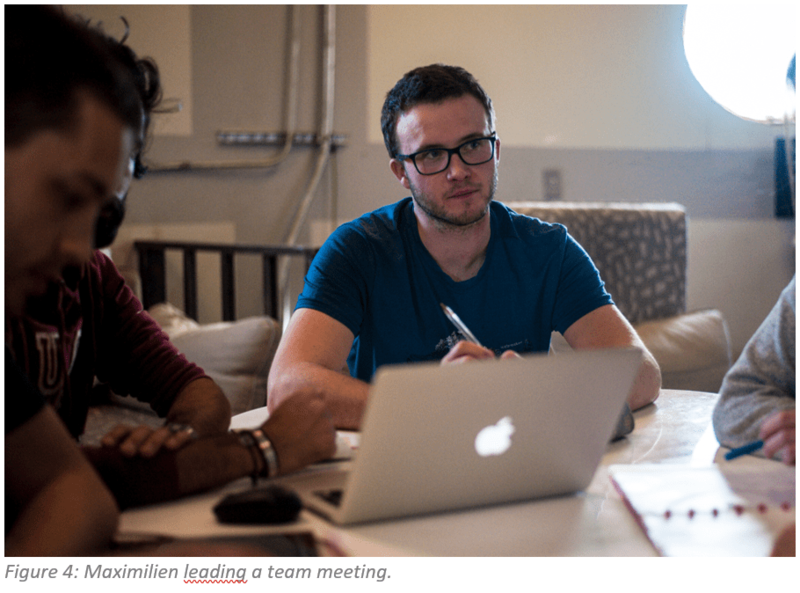 Teams previously passed a Preliminary Design Review milestone, and most recently passed an extremely competitive System Acceptance Review milepost. Vehicles competing at the URC finals will face four extremely difficult tasks involving their Mars rovers: 1) The Extreme Retrieval and Delivery Task, 2) The Equipment Servicing Task, 3) The Autonomous Traversal Task, and 4) The Science Cache Task. These events challenge teams to design and build highly capable robotic systems able to traverse extreme and aggressive terrain, perform maintenance on critical field equipment and conduct meaningful field science. Now in its 12th year, URC has challenged hundreds of teams and thousands of students from around the world through this unique multi-disciplinary educational event. In recent years URC’s parent organization, the Mars Society, has formed the Rover Challenge Series (RCS), which features similar competitions around the world aimed at developing the next generation of talented and ambitious leaders in engineering, science and space exploration. The Mars Society would like to express its appreciation to URC’s primary sponsor – Protocase – for once again producing this year’s video announcement. As always, we would also like to thank Kevin Sloan, our long-time URC Director, and his staff of volunteers for all of their hard work in planning and coordinating this important scientific competition. A full review of this year’s University Rover Challenge will be presented at the 21st Annual International Mars Society Convention (August 23-26) in Pasadena, California. Register onlinetoday to take advantage of ‘Early Bird’ ticket rates. It’s been twelve SOLs that Crew 190 landed on Mars. They rapidly settled down in the Hab and got to work. Quickly they learned to live with each other. 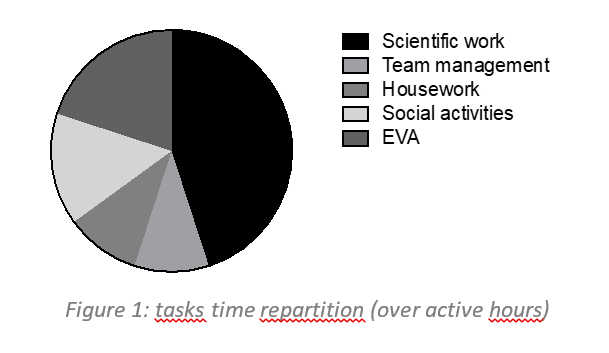 A bit formally, we distinguish in this report five main activities that had been shared and managed during the time living in the station (see Figure 1): scientific work, team management, housework, EVAs and social activities. 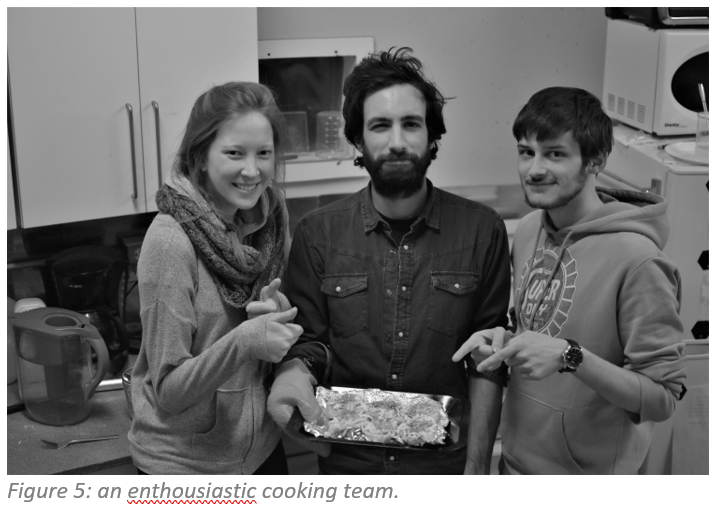 Scientific challenge was the main motivation of our stay at the MDRS. On a typical daily schedule, it usually primes on the rest of the activities. In this section, we provide a summary of the objectives and outcomes amongst the several experiments that were initially planned by the crew. Here we briefly present our different experiments. Psychological and emotional aspects are paramount in this kind of mission. Martin Roumain, the Health and Safety Officer and biomedical researcher, evaluated the impact of confinement by monitoring short-term memory and reflexes throughout the mission. He also studied the accelerated degradation of drugs by the Martian environment using a spectrophotometer (Figure 2). This device has also been used by Maximilien Richald, chemist and Crew Commander of this mission. Maximilien focused on the chemical profile of Martian soil in view of an eventual use in agriculture. Food self-sufficiency being essential for long duration space missions, Mario Sundic, botanist and GreenHab Officer, has designed a vertical hydroponic system, reducing the water needs thanks to this closed circuit. Frédéric Peyrusson, Crew Biologist, tested the benefits of hydrogels on plants growth. Moreover, he studied the ability of known bacteria to resist to a harsh environment and figured out the biocompatibility of terrestrial life on Mars. Our second Biologist, Ariane Sablon (Figure 2), isolated fermentating bacteria from human saliva in view of making possible the preparation of sourdough bread in situ. Bastien Baix, the Crew Engineer, created a self-made 3D-map of the station and its surroundings using an aerial drone. Our physicist and Crew Astronomer Sophie Wuyckens, also contributed to terrain analysis by setting up a method based on cosmic radiations measurements (Figure 3). She was also in charge of the Musk Observatory. All these experiments needed to be perfectly coordinated. That was the role of Michael Saint-Guillain, the computer scientist and Executive Officer, who designed an algorithm that helped the scheduling of the various experiments conducted by the crew members. 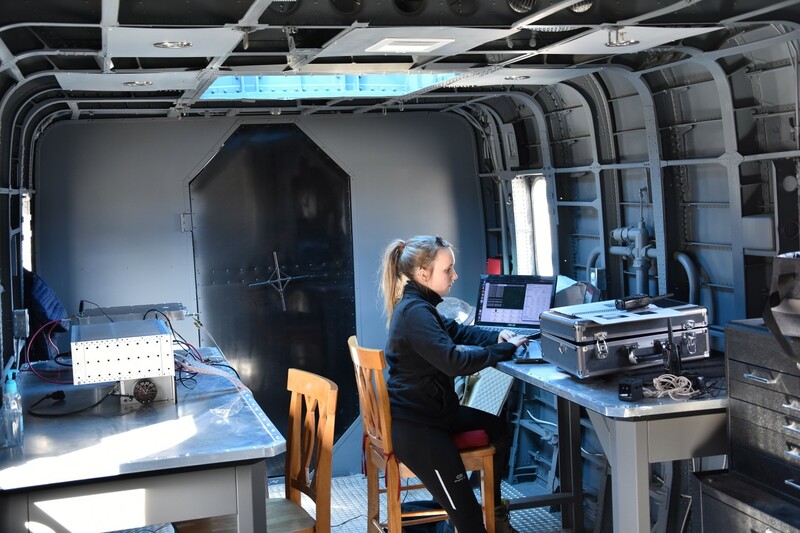 Figure 3: Sophie Wuyckens working on her muon detector, inside the RAM module. Besides the experiments, extravehicular activities (EVAs) required a significant amount of time. Of critical importance for some experiments, the EVAs also revealed a positive impact on the mental of the entire team and unique opportunities to contemplate the scenic martian landscape. Even though we stayed only a couple of weeks, such a mission requires sound organisation and systematical rescheduling. At the center of our eight people crew, the commandant Maximilien Richald had the hard responsibility of managing the entire team in a holistic way, dealing with all dimensions of the mission : experiments, housework, social behavior… Which had to be discussed during daily team meeting (Figure 4). Coordination of the scientific operations (including EVAs, manipulations in the ScienceDome, solar observations, homework) had been closely monitored by Michael Saint-Guillain. At the end of each day, just before the CapCom, the scientific outcomes were used as input to the scheduling algorithm which was then used to recompute a schedule for the rest of the mission. As part of a large team enclosed in a quite small living space, we all recognized the critical importance of well-balanced houseworking. The time required for meal preparation should not be underestimated, as we are cooking with unusual freeze-dried ingredients, which, by the way, did not prevent us from cooking some masterpieces (Figure 5) ! Last but not least, it is worth to mention that social activities definititly contributed to the success of the mission. Even with the best team composition, maintaining a good mood is not trivial and has a significant impact on the global outcomes of the mission. 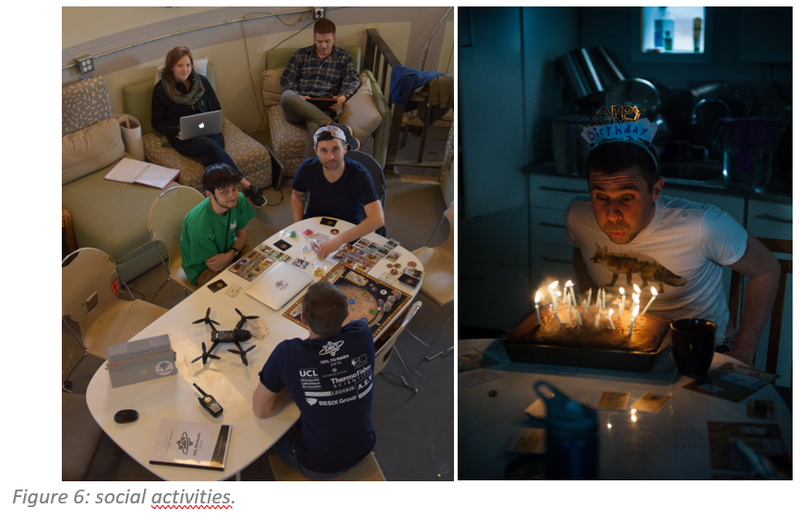 Fortunately, the Mars Society staffed the MDRS with a few interesting games, as the one we played on Figure 6 (left). On the right in Figure 6, we even observe a singular birthday event, quite uncommon on Mars ! Where should I study about robots? Japanese students learning about Mars, AI & robots at the Barboza Space Center with Bob Barboza. The branch of engineering which involves designing, constructing and operating robots is known as robotics. It also involves learning about the computer systems which control them and are important for their information processing and sensory feedback. Bachelors and Masters Degree in Robotics are programs that are geared towards teaching students about developing and constructing robotic devices which can be used for various purposes such as in commercial, manufacturing and security sectors. These programs include elements of mechanicalengineering, computer science and electrical engineering. For students applying in the undergraduate programs, strong math and science base is a must. In case of masters programs, engineering degree in relevant field along with project portfolio is required. The world is becoming increasingly automated and most of the work today is carried out on computer systems. Looking at this trend, there is an increasing demand for people who specialize in robotics so that it can be utilized into the work systems in a manner that it makes work easier as well as faster. The first industrial robot was introduced in 1960’s in the US. Since then, robotics has come a long way and the advancement in robotics has caused into its widespread application right from healthcare to manufacturing. Robots have many advantages such as safety, productivity and time and money saving. Robots help to produce high quality work which is accurate and devoid of mistakes. Such automated systems help to perform applications repeatedly with absolute accuracy and therefore their application is increasing in industries. Due to their high demand, studying robotics and researching in this field is advisable as it will provide better employment opportunities to students. The University‘s world rank is 109 according to the World University Rankings for 2014-15. The robotics engineering program at UCSC prepares students for careers in interfaces between mechanical, computer and electrical engineering. The students will have a thorough understanding of the principles and practices of robotics. There are a number of Robotics related programs within the Computer, electrical and mechanical engineering programs for students to choose from. Students can get a Bachelor’s in Robotics Engineering or opt for a minor in Control Designated Robotics at graduate level. Creating systems for decision-making, adaptation, estimation, identification and control by the use of concepts taken from cognitive and biological sciences. Development of systems that automate transportation, manufacturing, healthcare etc. -Six courses, which includes 3 core courses and 3 electives. A minimum grade of B in the six program course is required for certification. -A one term senior independent work project or a two term senior thesis with a robotic / intelligent systems relevant topic should be completed. -Close collaboration with faculty members. Scholarship- The Certificate Program in Robotics and Intelligent Systems is open to juniors and seniors at Princeton University who have a satisfactory background in mathematics, science, and computing. Students should have successfully completed. The University is a private research university and more than 20 Nobel Prize winners are associated with the University. According to World Rankings, it stood at 42 in 2014-15.This degree is open for students who have a bachelor’s in engineering or physical sciences from an accredited university. To pursue this degree, you will require 30 units. The program is designed in a manner that it is completed in 1.5 years but can be completed in longer time if done part-time. To finish the course in 1.5 years, students are required to take 3 courses in both fall and spring semester and 4 courses in second fall semester. Scholarship- Applicant should have bachelor’s degree in engineering or physical sciences from an accredited university. The courses must be 400-level or higher and they must include at least 15 units of 500-level courses. This University is synonymous with robotics and has multiple engineering and computer science divisions. The University has been ranked 24 in The World Rankings. The University offers a number of Robotics programs such as PhD in Robotics, Masters in Robotics and Master of Science- Robotic Systems Development (MRSD). There is also a special masters program wherein Carnegie Mellon undergraduate students get a chance to complete their masters in the 5th year. These programs include Master of Science- Robotic Technology (MS-RT), Master of Science-Computer Vision (MSCV). Students also have the choice of doing a robotics additional major or opt for the robotics minor in the undergraduate program. Scholarship- The Robotics Institute is an international leader in robotics education. Carnegie Mellon University offer many academic programs in Robotics like PhD in robotics, Masters in Robotics, Robotics Additional Major, Master of Science – Robotic Systems Development (MRSD) and so many programs. Three major research groups use Robotics at the University: The Mobile Robot Laboratory, The Healthcare Robotics Laboratory and The Center for Music Technology. Georgia Tech ranks at number 35 according to the U.S News and World Report’s Best College Ranking. Georgia tech offers PhD programs in Robotics. The program has more than 40 faculty members who are part of the PhD Robotics program. The SURE (Summer Undergraduate Research in Engineering) Program which was introduced in 1992 has been extended to Robotics. His program was launched in May 2014 and it receives funding from Department of Defense and National Science Foundation’s (NSF) Division of Engineering Education and Centers. This program is directed towards undergraduate students to participate in a 10 week summer robotics research experience which will help to attract underrepresented students to graduate school. The General Robotics, Automation, Sensing and Perception (GRASP) Laboratory is an interdisciplinary academic and research center within the School of Engineering and Applied Sciences at the University of Pennsylvania. The GRASP Laboratory integrates computer science, mechanical engineering and electrical engineering into a collaborative environment. GRASP has developed a $10 million research center wherein ground-breaking technological innovations to its credit. They can apply for CIS, MEAM or ESE department, depending on their interest. According to the U.S News and World Report’s Best College Ranking University of Pennsylvania stands at number 19 amongst the Best Engineering Schools. Scholarship- The center offers a number of undergraduate and graduate programs in the field of Robotics. They also offer a Masters in Robotics wherein students have to take up a total of 10 courses along with an optional thesis project. PhD students conducting doctoral research at GRASP get their degree from one of the associated departments. This Australian University is ranked in Top 10-16 in Australia and Top 400 Worldwide in the Academic Ranking of World Universities 2013. The course is a 4 year on campus course and it combines computer control, electronics, programming in design, signal processing, development and application of robots and its integration with the other working systems. Flinders is the only university in South Australia whose Robotics program is based on electronics and autonomous intelligent systems, both of which are the core elements of Robotics. The bachelor’s at Flinders is accredited by Engineers Australia and is internationally recognized. Scholarship- Flinders University offers undergraduate program in the field of Bachelor of Engineering in Robotics. Flinders offers the only robotics course in South Australia based on electronics and autonomous intelligent systems. Flinders robotics degree enables you to choose a course of study with either an intelligent robotics focus or a mechatronics focus. Laboratory for Computational Sensing and Robotics (LCSR) is a not-for-profit interdisciplinary academic center for engineering, research and development. LCSR’s mission is to create knowledge and foster innovation to further the field of robotics science and engineering. We will accomplish this goal by cultivating excellence in research and teaching in robotics engineering sciences, and by exploiting opportunities for robotics research and interdisciplinary synergy across all JHU divisions and with collaborators worldwide. Scholarship- Johns Hopkins University also offers undergraduate minors in Robotics and Computer-Integrated Surgery and also offers graduate program Master of Science in Engineering focuses on interdisciplinary learning to offer a comprehensive education in Robotics. The mission of the Center for Automation, Robotics and Distributed Intelligence (CARDI) is to engage in interdisciplinary research encompassing the fields of control systems, robotics and automation, computer vision and intelligence, distributed systems and networking, and data/information. Mining is an incredibly complex pursuit, and robots can step in to do dangerous work to save lives. Someone needs to build them, and the Colorado School of Mines has its Center for Automation, Robotics, and Distributed Intelligence (CARDI) to equip people with the tools to do so. Scholarship- Education is a key element of the CARDI agenda. The center promotes undergraduate and graduate research in CARDI projects by publicizing the research of members, organizing an annual Research Fair and directly hiring undergraduate and graduate students. The Robotics and Intelligent Machines Lab at UC Berkeley has an entire department devoted to replicating animal movement for the sake of improving robotic mobility. The school’s Laboratory for Automation Science and Engineering gets into more general robotics work, designing solutions for things like robot-assisted surgery and automated manufacturing. Since its founding in 1962, Stanford’s Artificial Intelligence Laboratory has been facilitating robotics education for 52 years. Students gather for weekly reading groups to dissect robotics papers and discuss the latest developments in their fields. Its faculty’s list of interests is loaded with fun robo-buzzwords: informatics, logic, machine learning, natural language processing, and so on. USC’s Robotics Research Lab encourages undergrads to get their hands dirty by taking directed research credits from faculty. The USC Robotics Laboratory has a large and constantly growing collection of robots. Most recently, we received a PR2 robot from Willow Garage, as part of the PR2 beta program. Several lab projects make use of our group of Pioneers for research into coordination, communication and learning in robot teams. The Evolution Robotics ER1 platform is being used for human-robot interaction research. The projects described on the website for Columbia University’s Robotics Group are impressive to say the least. Students have built autonomous vehicles for navigating urban environments, 3-D simulation tools to teach robots how to interact with the real world, and even a system for facilitate aspects of surgery-by-robot. MIT is nearly synonymous with developing cool, cutting-edge technology. It’s Computer Science and Artificial Intelligence Laboratory has spawned a number of robotic creations. CSAIL articulates compelling interdisciplinary research visions for computing, invents fundamental new technologies, conducts basic research activities that strengthen the state of the art, and inspires and educates future generations of scientists, technology leaders, and the public. CSAIL is an innovative, passionate community that both drives the future of computing and harnesses its remarkable power. The kids of the “East L.A. Rising”, formerly known as the Boys and Girls Club of East LA, were in for a big treat this past Tuesday. CSU Long Beach Robotics Professor Walter Martinez Marconi and Barboza Space Center founder Bob Barboza hosted an interactive and informative robots themed special event base on Universal Pictures’ upcoming film, Pacific Rim Uprising, directed by Steven S. DeKnight, coming out Friday March 23rd. “It’s not only fun, exciting, and inspiring for our kids to be exposed to robotics”, stated Anna Araujo the Executive Director of East L.A. Rising, “it’s our responsibility to nuture our kids’ interest in the sciences. Unfortunately, low income kids have significantly less internet and technological access, as well as exposure to these types of special events that help them correlate STEM (Science, Technology, Engineeribg, and Math) education with career opportunities. Access to technology is becoming a civil rights issue of our time”, claimed Araujo, “and these type of events are vital to ensure our kids will be well prepared for tomorrow world”. The highly anticipated sequel, Uprising, flashes forward 10 years from the first Pacific Rim and follows the rebellious Jake Pentecost, a once promising Jaeger pilot whose legendary father gave his life to secure humanity’s victory against the monstrous “Kaiju”. Young Jaeger pilots have only known a world of chaos and Jake has since abandoned his training only to become caught up in a criminal underworld. But when an even more unstoppable threat is unleashed to tear through cities and bring the world to its knees, he is given one last chance to live up to his father’s legacy with his estranged sister, Mako Mori, who is leading a brave new generation of pilots that have grown up in the shadow of war. As they seek justice for the fallen, their only hope is to reunite together in a global uprising against the force of extinction. 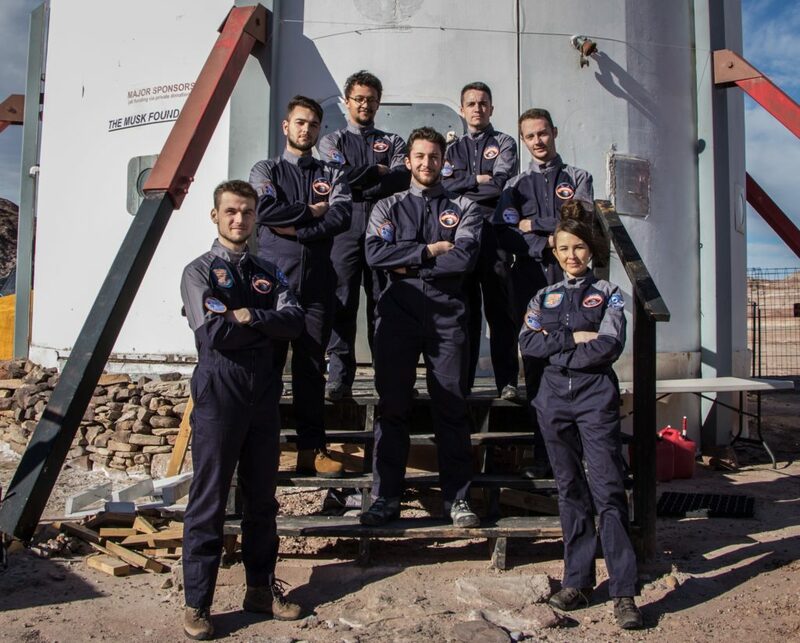 Team ISAE Supaero has begun their fourth rotation at MDRS, comprised of three weeks of intense research, team building and simulation training on Mars. 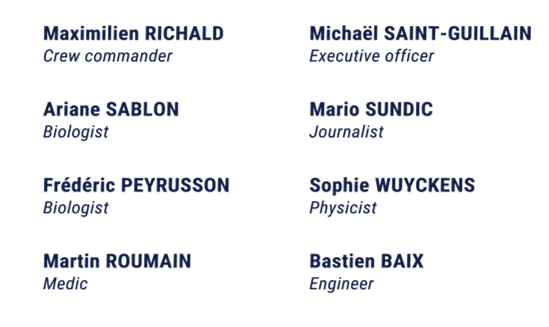 Our team is composed of seven highly motivated scientists, engineers from the French aerospace engineering school ISAE Supaero. 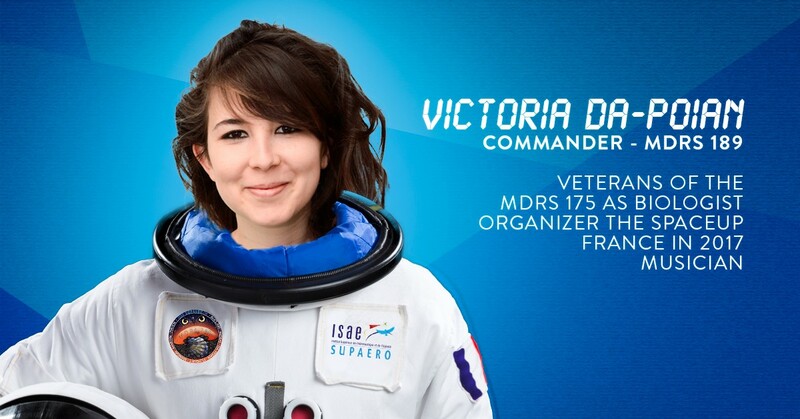 Victoria Da-Poian will be the Commander of the MDRS-189 mission. She is one of the two veterans taking part in the new mission as she was member of the MDRS-175 crew as the biologist. She is an active member of ISAE Supaero space events as she organized the SpaceUp France in 2017 and took part in different space related associations (space pole and cubesat club). She was also vice-president of the « Junior Enterprise » of ISAE-Supaero (Supaero Junior Council) and Ambassador of the social and cultural expansion of our school (OSE ISAE Supaero). After her 2017 mission, she completed an internship at the Astronaut Training Center in Cologne (ESA / EAC), and is currently doing an academic exchange in Moscow. In her free time, she enjoys practicing piano, violin and climbing. 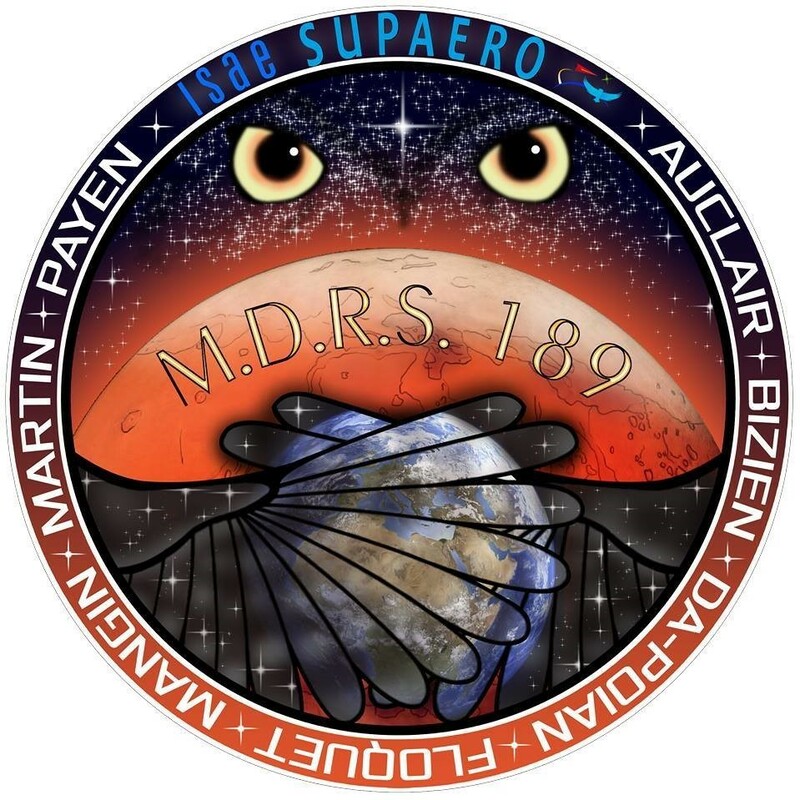 Louis Mangin will be with Victoria the commander of the MDRS 189 mission. He was already part of the crew 175 as the journalist. 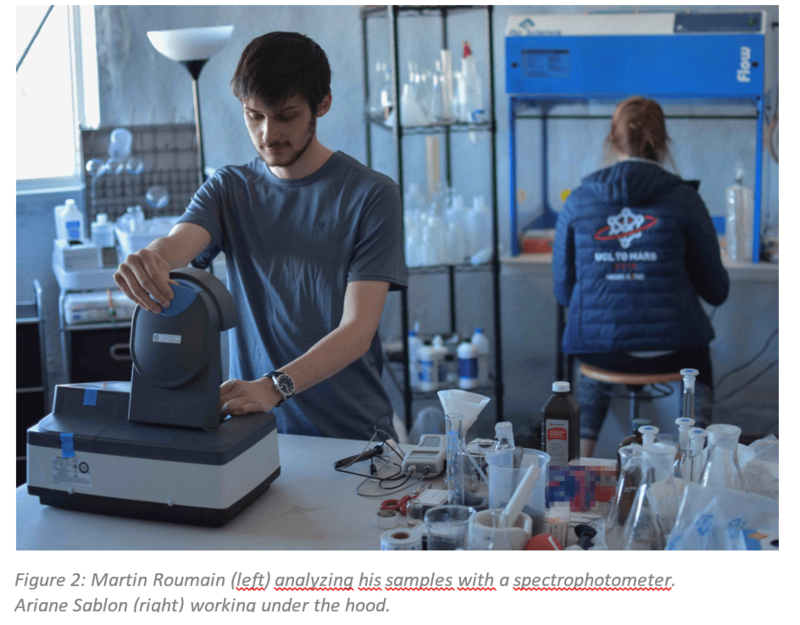 He is currently working as a trainee in Lyon in a start-up that uses the latest AI technologies to minimize the electrical consumption of buildings. When he was living on the campus, he was a rower in the ISAE-Supaero rowing team, organizer of the Supaerowing student regatta, and a tutor with the social association OSE ISAE Supaero. In his free time, he is also a runner, a mountain-climber, a cinephile or a poker player. 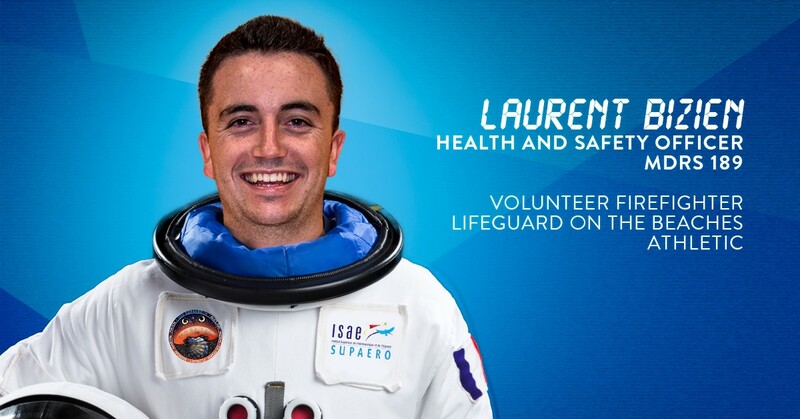 Laurent Bizien will be the Health and Safety Officer of the MDRS-189 crew. Promotion 2019 of ISAE Supaero, he is the current treasurer of the school’s charitable association (Solid’aires). As a volunteer firefighter as a lifeguard on the beaches, he passed several first aid diplomas. He is a candidate for a semester at the Moscow State University and an internship at NASA. In his free time, he practices baseball, volleyball and skydiving. Franco-American born in France, Jérémy Auclair will be the GreenHab Officer and the Biologist on board. Promotion 2019, he is an active member of the club, very invested for the smooth running of the next mission. Passionate about space and astrophysics from his young age, this mission is one more way to flourish in his formation. He plans to do an internship in North America in the field of aerospace. He is also an active member of the school’s associative life, and various clubs with varied backgrounds. During his free time, he enjoys practicing sports, rowing and volleyball, as well as getting lost in reading and taking pictures. He will also be the photographer of the mission. Promotion 2019, Benoit Floquet will be the astronomer of the MDRS-189 mission and is the current treasurer of the club M.A.R.S. Passionate about the space domain for many years, he is also involved in our school’s associative life. He is responsible of the Solidarity pole of the Students Association and takes part into the entrepreneurship (ISAE Supaero Entrepreneurs) association in the communication pole. Also a sportsman, he has been practicing gymnastics for 15 years and skydiving. He applies for a Master in Innovation at the French famous school « Polytechnique ». Promotion 2019, Gabriel Payen will be the on-board flight engineer of the MDRS-189 mission and is the current president of the M.A.R.S club. He is also member of the student association as event manager. He has been a sportsman for several years and has been focusing for one year on mountain sports, such as climbing, mountaineering and skiing. He began this year a three- years research formation in applied mathematics. He applies for his gap year for the UNIS University located in an Arctic circle archipelago where he would study geophysics for six months. Alexandre Martin, also promotion 2019 will be the journalist during the MDRS-189 mission. He is a member of the ISAE Student Association as chairman of the communication department. He shares his free time between the football club, of which he is the president and captain, tennis but also kite surfing club. He is fascinated by space, mathematics and economics. He is currently applying for a master’s degree in financial mathematics in the United Kingdom. Our advantage is to have two crewmembers who took already part in the simulation last year. 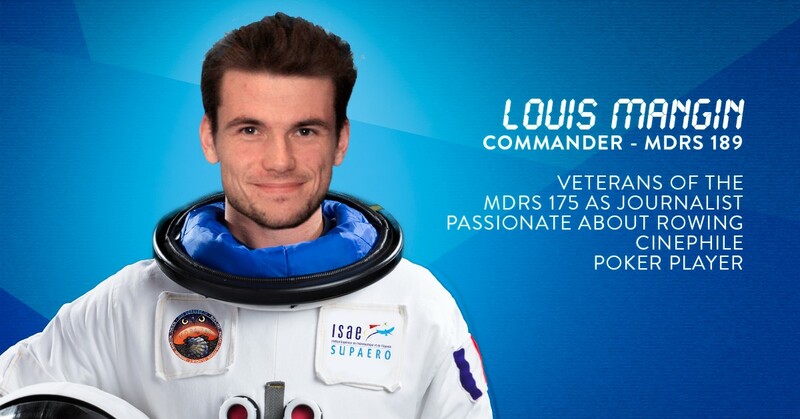 Louis and I, were the journalist and the biologist of the Crew 175. This year, we will lead the new team (crew 189). For one year, we are working on our mission, teaching and giving our best advice to the new crewmembers. Our knowledge and experiment are going to benefit the crew in order to best perform during our Martian mission. Physical Training (Louis Mangin): Every morning, we performed physical exercises in order to stay in shape during our 3-weeks simulation and to analyze our performances. We had a sport session before breakfast every day. It was designed to be quick, not to use too much energy or tire us and to last around 30 minutes max. It was intense enough to dissipate the lack of exercise we had. Most of us are athletic so that being locked-on would have been difficult without exercising. The program was split in 7 exercises using various muscles and done to push up cardio. I measured the number of repetitions we did during one minute for each exercise. Everybody progressed during the mission to reach good maximums in the end. The fact that we were keeping tracks of our performance and that we did it together created a good emulation amongst the crewmembers, helped building team cohesion and detect individual fatigue. Nutrition energetic (Alexandre Martin): During our 3-weeks experiments, we monitored our weight (fat percentage, water percentage, bone percentage, estimation of the calories consumption). This experiment aimed to ensure the good nutritional health of each member of the crew. I calculated the nutrient intake and measured the weight, muscular mass, fat mass and hydration rate of each member of the crew in order to provide a daily follow-up. I could observe that our caloric intakes were reduced at the time of the mission, as we are less active and are doing less sport. Almost each member of the crew has lost weight, up to 2.8 kilograms. This loss of weight has shown to result both from an important loose of fat and from a small loose of muscle: crew members have lost up to 1.8 kilograms of fat mass, and up to 0.8 kilograms of muscle. However, the athletic performances of the members of the crew have been enhanced in the meantime, mainly due to Louis’ daily imposed sport session. Teamwork (Gabriel Payen): The game tasks a player with disarming procedurally generated bombs with the assistance of other players who are reading a list of instructions. This experiment has been designed with a researcher and a fellow student from ISAE-Supaero to study decision making and leadership abilities. Almost every day, teams of three had to play “Keep Talking and nobody explodes”, a computer game where one must defuse a bomb with the help of his teammates’ instructions. Subjects and conversations were recorded, and the deminer’s sight was followed with an eye-tracker. I simultaneously observed them to take notes about their behaviour and ask them to fill personality surveys. Now, the data will be analysed at ISAE-Supaero. Rover Piloting (human factors, Jérémy Auclair): The goal of this experiment was to see how the subjects changed their performances on a given task (driving a small Lego rover on a given track). What was mainly studied was how their decision taking and the precision of their driving changed during the mission according to how they felt (without any feedback on their scores). It was complicated at first because I had quite a few issues with the equipment and software (batteries, eye-tracker and SSH connection software). But once those issues were solved the experiment ran smoothly. I will give the data I gathered to the doctorates that gave me this task for further analysis, but I saw that everybody increased their precision during the three weeks. Emergency Procedures (Laurent Bizien): Future Martian crews will have to be trained and prepared for every injury case they’ll encounter. Yet, because of the extreme conditions of Mars, emergency procedures developed on Earth will have to be adapted. Thus, after a few lessons, we trained to emergency situations in the Hab surroundings: how to transport a wounded crew member, how to put him/her in the Rover… The lack of mobility didn’t make the thing easy. Afterwards, I taught the other crew members how to use the rescue equipment present in the station. The first aid explained, we were able to apply the techniques in EVA. Twice, at the end of an EVA, a member of the crew had to simulate an injury and the other had to deal with it and to transport him/her up to the Hab. Once in the station, people remaining in the Hab had to pursue the cares. The experiment resulted in a good rhythm for everybody and development of good reflexes. EVA Logger (Louis Mangin): I wanted to deploy a system to allow us to keep a precise history of an EVA. This system I developed used a smartphone and an Android App I created to be as simple as possible for the user. The smartphone was to be used only as a button, touched periodically by the EVA leader. The user would browse an action tree, with nodes spelled by the app in a headset. To select the wanted one, he will simply touch the screen anywhere while the App will keep looping on categories. I struggled a lot with the touchscreen use in the outside, and finally managed to use it fixing the phone with tape, and a special pen, attached to a finger. I had results for the last week, allowing us to have precise debriefings of EVAs with timed events. EVA efficiency (Victoria Da-Poian): The goal of the experiment was to assess, for each of our EVAs, this index in order to understand the importance of each task (preparation and debrief). This index is used in the document “Exploration Systems Mission Directorate – Lunar Architecture Update” – AIAA Space 2007 September 20, 2007, chapter “Extravehicular Activities (EVA) and Pressurized Rovers, Mike Gernhardt from NASA Johnson Space Centre analyses EVAs efficiency. The WEI is the ratio between EVA duration and the total duration of preparatory activities and activities post EVA. We managed to have our index between 2 and 5 depending on the EVA preparation and previous debrief. It seems to be consistent with the results of the crew 43 lead by Alain Souchier. LOAC (Jérémy Auclair): The LOAC instrument (Light Optical Aerosol Counter) Measures aerosol (solid and liquid particles between 0.1 µm and 50 µm) concentration in ambient air and gives an indication of the typology of the measured particles (mineral, salt, carbon, liquid, etc.). Bringing and installing this instrument was more challenging than I thought; I built a power system before leaving France, it broke on SOL 2 because of a faulty solder. I broke again on SOL 3 and SOL 15, but I managed to fix it quickly each time. Concerning the power supply, I thought the car battery we bought would last longer than it did, its autonomy decreased after each charge. However, the instrument worked perfectly and gathered very interesting raw data, the French scientist who gave me this instrument is waiting impatiently to receive all the collected data to start processing and analyzing it further. Localization (Benoit Floquet): My experiment consists in a navigation device. It is composed of 3 components: a GPS ship, an electronic card and a LCD screen. It aims at helping members of an EVA to find their way, for example when they get back to the Hab. First, with the GPS and the electronic card I can compute my position, the distance and direction to the nearest Point of Interest. Then I can predict my direction of movement with a linear regression over a few past positions. Finally, with these two directions, I can write on the screen an order to turn right or left with an angle so that we are aiming the Point of Interest. Overall, I can add some noise on the measure of position in order to determine how accurate a localization device should be in a Mars-like environment. The goal is to create such a device without the use of a GPS. During the simulation, I had few problems with the GPS ship so I couldn’t use it as much as I wanted. MegaARES (Gabriel Payen): MegaARES (Mega Atmospheric Relaxation and Electric field Sensor) is an instrument developed by Grégoire Déprez and his team of researchers at LATMOS (Laboratoire atmosphères, milieux et observations spatiales), France. It can measure the electric field in favorable weather conditions. This instrument will probably land on Mars one day. Grégoire lent it to me to see if it operates correctly and to study coupled effect with Jeremy’s LOAC instrument (aerosol counter). My mission was to set it up during an EVA, maintain its power supply outside and gather data every week. Assembling it outside with our gloves and suits was tricky but very interesting: it took a 3-hour EVA. It was tiresome and required a good amount of teamwork. We also had to deal with batteries issues: they emptied quicker than expected and had to be changed every two or three days instead of every week. Fortunately, plugging an USB key to get the data and disassembling it at the end of the mission was much easier. Now, the data and hardware will be sent back to Grégoire and his team for analysis. Solar panels experiment (Laurent Bizien): Dust on Mars is a real issue. Due to the lack of gravity, it could limit the performances of future Martian solar panels by accumulating on them. Hence the idea of a solar panel dust cleaner. Not using water, it consists in a rotating microfiber brush going back and forth on the solar panel using a band. The rotation and travel speeds are controlled by an Arduino card and a dual motor controller. At the beginning of the simulation, I assembled all the elements on a support and did my first performance and stability tests. Because of the absence of feedback loop, the system wasn’t stable (the brush headed step by step towards one of the end of the guide shafts) and the solar panel wasn’t properly cleaned. I added stop points in order to guarantee the stability. We took the dust cleaner on EVAs on three occasions and each time, it cleared out dust pretty well and allowed the mobile phone plugged on the solar panel to charge. Time analysis experiment (Victoria Da-Poian): My goal was to analyze the activities, their duration and our planning in order to see the evolution of the crew during our simulation and our efficiency depending on our activities. Water monitoring: I monitored water consumption like during MDRS 175. 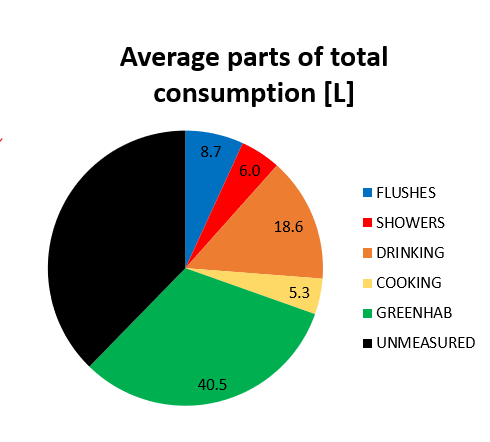 The whole crew participated in and kept track of drinking, cooking water, flushes, showers and Greenhab usage. The main differences with MDRS 175 we can spot is that flushes are now very reasonable, as one flushes consumes roughly 8 times less with the new system. In the other hand, the Greenhab consumes way more than last year, where it was just restarted after it burned down. This term is now the second biggest one, after the remaining one, composed mostly of dish washing. We would like to thank Laure Andrillon, independent journalist and TF1 team composed of Axel Monnier and Bertrand Guez, who both “played the game” and understood that our operations on the field are surely not yet at astronauts and agencies professional level but are also far more than amateur activities. In conclusion, we had many experiments related to the human factors and the EVAs efficiency. We analyzed the impact of the isolation and the confinement on our efficiency. This team was together thanks to our common dream of space exploration. After spending 2 years in our aerospace engineering school in France, our crew understands the importance of defining roles within a team and will learn to cope with high-stress situations in small living spaces. Completing a mission together at MDRS challenged us to improve our professional communication while expanding our friendships and our shared passion for exploration. We consider our mission to be a success and we are happy of what we have done during our three-weeks simulation. We would like to extend our gratitude to the MDRS Mission Support Team who have supported our crew every evening during the Comms window. Special thanks go to Shannon Rupert, Atila Meszaros, Scott Davis, Peter Detterline, Dr. Robert Zubrin and the Mars Society, The Musk Foundation and all the previous and next Crews. 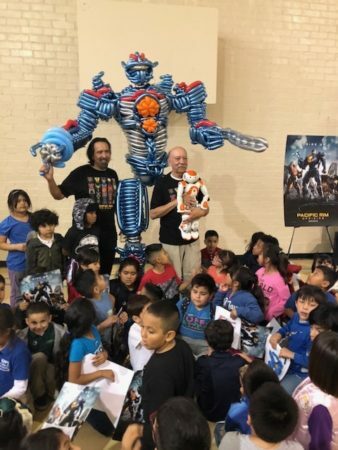 Walter and Bob Barboza were in East LA helping with the new robot movie. Here is our photo essay. Pacific Rim Uprising is an upcoming American science fiction action film written and directed by Steven S. DeKnight in his feature film directorial debut and co-written by Emily Carmichael, Kira Snyder, and T.S. Nowlin. It is the sequel to the 2013 film Pacific Rim by Guillermo del Toro. It stars John Boyega, Scott Eastwood, Cailee Spaeny, Jing Tian, and Adria Arjona, with Charlie Day, Burn Gorman, and Rinko Kikuchi returning in their roles from the original film. It is scheduled to be released on March 23, 2018, by Universal Pictures worldwide. The film will be released in 2D, Real D 3D, IMAX 3D, and IMAX release. What robots are you taking to Mars?